After Wednesday's hearing, Anthony's attorney, Charles Greene, accused Gonzalez of being the one who's trying to avoid questions, saying the burden of proof in the case is on her. "Zenaida Gonzalez supposedly has this grand story to tell, and now three years after filing her complaint, she’s trying to avoid answering the very significant questions that will be placed to her," Greene said. Keith Mitnik, another attorney representing Gonzalez, said his client is trying to leap frog in front of Anthony and get as much information as possible before she is deposed. "I'm sick and tired of Casey Anthony getting special treatment. 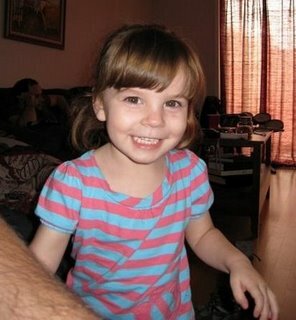 I'm sick and tired of Casey Anthony not having to face up to civil justice like everybody else in America," Mitnik said. Yes, we are all sick and tired of soulless KC and her evil scheme-team forever victimizing the true victims of her evil deeds and lies, be it precious little Caylee, poor Zenaida, innocent friends and acquaintances, good-hearted ex-boyfriends, the unsuspecting public, dedicated LE professionals, the dude who found a murdered child's remains, members of the media, and on and on. Despicable, IMO. Casey Anthony's attorney: Is Morgan law firm paying Zenaida Gonzalez? “For Casey Anthony to take the aggressive stance of ‘you can run but you can't hide’ like she's the perp here of this civil action. You've got to be kidding me!” said Keith Mitnik, Gonzalez’s attorney. It's anything but a joke to Greene, who gave a preview of Gonzalez's deposition on the courthouse steps. The questions were clearly aggravating to Gonzalez's attorney, who began the day by arguing that they should be able to get answers first from Anthony before Gonzalez has to sit for her deposition. Another hearing is scheduled next month where both sides will argue about whether or not Anthony should be required to answer the questions posed in last month’s deposition, or whether she has the right to take the Fifth Amendment. Anthony is appealing four criminal counts of lying to law enforcement, and anything she says in the civil proceeding could affect her criminal appeal. During Wednesday’s hearing, Judge Munyon said she'll decide by Thursday whether or not Gonzalez’s Nov. 22 deposition will happen or not. Sometimes I see on other places, mostly article comment sections, posts by obviously deranged people. They write threatening things toward the killer about what they would do to her. I am going to start replying to every one of them " bet you won't"
Late Thursday morning, Judge Lisa Munyon denied a motion to postpone the deposition until after Gonzalez's attorneys at the Morgan & Morgan law firm can depose Casey without her pleading the Fifth Amendment. Casey Anthony's lawyers called the motion a tactic to try and keep Gonzalez from answering questions about how much money she may have received because of this case. But the judge's ruling now enables Casey to hear what Zenaida has to say before she gives her own statement. They need to give her a key to the city,appoint her mayor and let her have front float in the Thanksgiving Parade. Cookie, I don't know how green your thumbs are but, could you look to see if there is a suitable area to scatter wildflower seeds. That could be an addition to the site that no one should have a problem with. Thank you to all again for links, etc. Appreciate it. that is a fab idea! I don't have a green thumb at all but the area is quite wet and swampy in some areas...I would love to scatter wildflower seeds..do you think that they will grow in that area if it is very wet? I will scatter them in areas..will be fun to go back and check on them to see how they are growing ! And spiffy wildflower seed storage containers. Lemme take a few swings too. Alas, I don't feel any better. Trimm, it seems the more time that passes the more Casey gets away with things neither you nor I or any citizen would get away with for that matter. I keep thinking the time will come and she'll get what she's got coming, but that's beginning to sound hollow. Somehow I feel as though this will work out in favor of Zenaida in the long run, as maddening as it appears at first blush. Cookie , I found this site that you could use to get ideas about what would grow there.click on the names for pictures. Circuit Judge Lisa T. Munyon denied the request by attorneys for Zenaida Gonzalez to delay her deposition until Casey Anthony's deposition is completed. "Plaintiff's emergency motion for protective order and objection to taking deposition of plaintiff, Zenaida Gonzalez, before Casey Anthony's deposition is completed should be and the same is hereby denied," Munyon ruled in her ordered signed yesterday. Anthony's attorney Charles Greene plans to take the deposition of Gonzalez at 9 a.m. Nov. 22, according to court filings. That deposition is set to be held at the Morgan and Morgan offices and will be videotaped. I am not a fan of Keith Ablow, but I must say that was an interesting read. Worth reading all the way through, I believe. Thursday's ruling will allow Anthony to hear what Gonzalez has to say before she gives her own statement. Judge Lisa Munyon said she will decide in December if Anthony will be forced to answer questions she previously refused to answer. The civil trial is scheduled to begin in April.